When Was the Parthenon Built? The Parthenon is a resplendent marble temple built in the 5th century B.C. 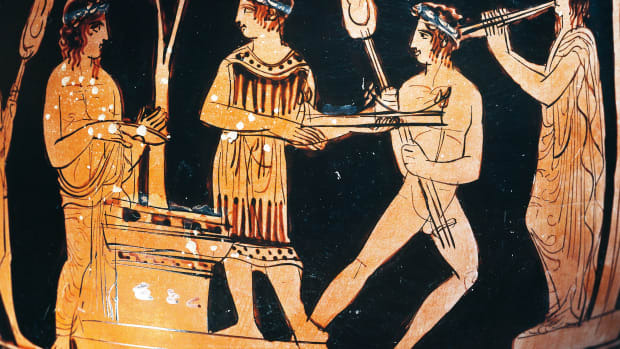 during the height of the ancient Greek Empire. 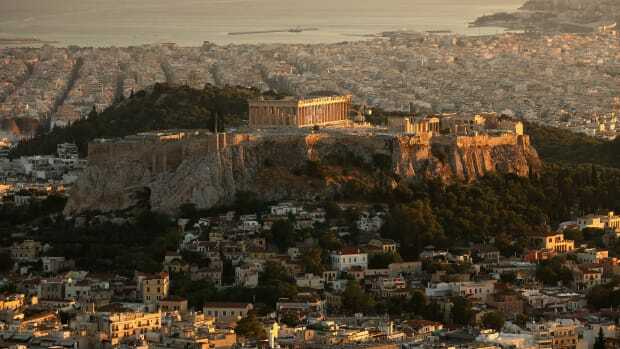 The temple sits high atop a compound of temples known as the Acropolis of Athens. Throughout the centuries, the Parthenon withstood earthquakes, fire, wars, explosions and looting yet remains, although battered, a powerful symbol of Ancient Greece and Athenian culture. 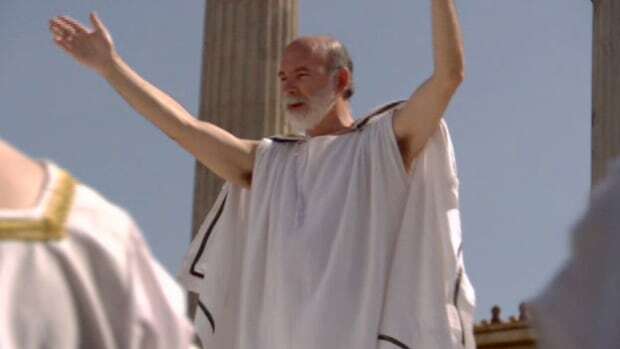 The celebrated Greek statesman Pericles is credited with ordering the design and construction of the Parthenon as a temple for Athena—the goddess of wisdom, arts and literature and war—but it may not have been the first attempt to house the deity. An earlier structure known as the Older Parthenon or Pre-Parthenon once existed on the site of the current Parthenon. Many historians believe the Older Parthenon was under construction in 480 B.C. when the Persian Empire attacked Athens and destroyed the Acropolis, although some experts dispute this theory. In 477 B.C., some 33 years after the Persian invasion, Pericles commenced building the Parthenon to replace the earlier temple. 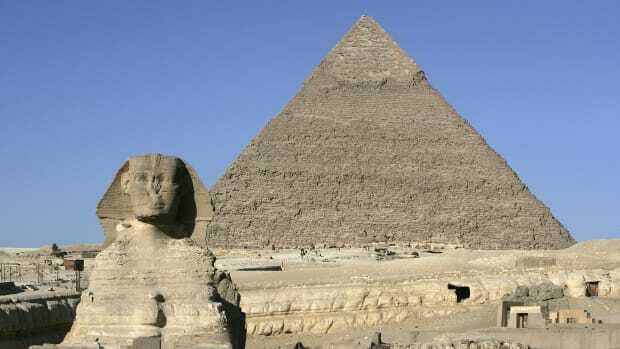 Construction of the massive structure continued for almost four decades, until it was dedicated in 438 B.C. Sculpting and decorative work at the Parthenon continued until 432 B.C. It’s estimated that 13,400 stones were used to build the temple, at a total cost of around 470 silver talents (roughly $7 million U.S. dollars today). Pericles commissioned the renowned Greek architects Ictinus and Callicrates and the sculptor Phidias to design the Parthenon, which became the largest Doric-style temple of its time. 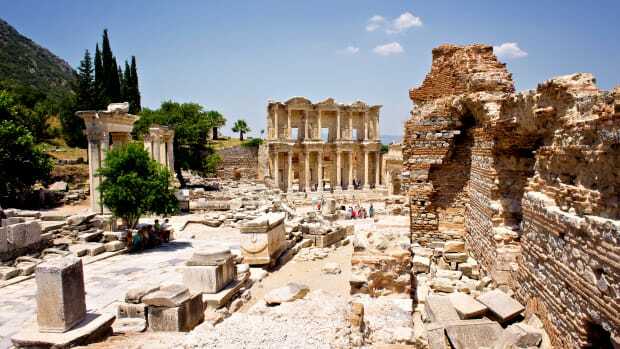 The structure has a rectangular floor plan and is built on a 23,000-square foot base, part of which was the limestone foundation of the Old Parthenon. Low steps surrounded each side of the building, and a portico of Doric columns standing on a platform create a border around it. There are 46 outer columns and 19 inner columns. The columns are slightly tapered to give the temple a symmetrical appearance. The corner columns are larger in diameter than the other columns. Incredibly, the Parthenon contains no straight lines and no right angles. Ninety-two carved metopes (square blocks placed between three-channeled triglyph blocks) adorn the exterior walls of the Parthenon. The metopes on the West side depict Amazonomachy, a mythical battle between the Amazons and the Ancient Greeks, and were thought to be designed by the sculptor Kalamis. The metopes on the East side show Gigantomachy, mythical battles between gods and Giants. Most metopes on the South side show Centauromachy, the battle of mythical centaurs with the Lapiths, and the metopes on the North side portray the Trojan War. A broad, decorated horizontal band called a frieze runs along the entire length of the walls of the Parthenon’s inner chamber (the cella). The frieze was carved using the bas-relief technique, which means the sculpted figures are raised slightly from the background. Historians believe the frieze depicted either the Panathenaic procession to the Acropolis or the sacrifice of Pandora to Athena. There are two sculpted, triangular-shaped gables known as pediments on each end of the Parthenon. The East pediment depicted Athena’s birth from the head of her father, Zeus. 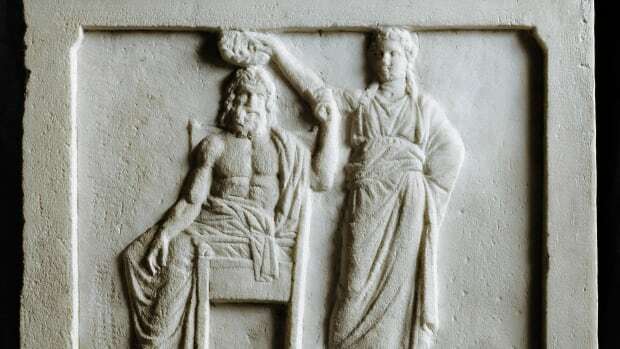 The West pediment showed the conflict between Athena and Poseidon to claim Attica, an ancient region of Greece which included the city of Athens. A shrine within the Parthenon housed an extraordinary statue of Athena, known as Athena Parthenos, which was sculpted by Phidias. 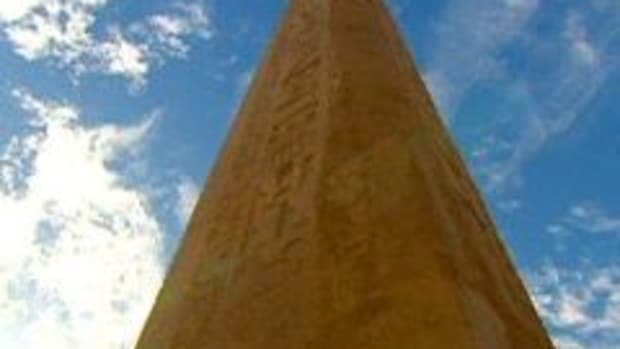 The statue no longer exists but is thought to have stood 12 meters high (39 feet). It was carved of wood and covered in ivory and gold. Historians know what the statue looked like thanks to surviving Roman reproductions. The Athena statue depicted a fully-armed woman wearing a goatskin shield known as an aegis. She held a six-foot tall statue of the Greek goddess Nike in her right hand and a shield in her left hand which illustrated various battle scenes. Two griffins and a sphinx stood on her helmet and a large snake behind her shield. It’s unclear if the Parthenon served solely as a home for Athena or also as a treasury. 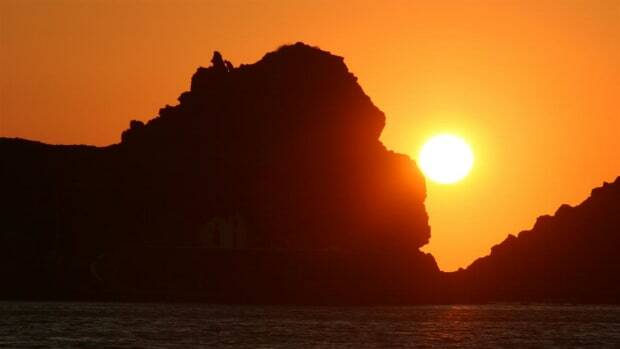 It was undoubtedly an awe-inspiring sight for anyone who gazed upon it. Ancient spectators weren’t allowed inside the structure but viewed its splendor from the outside. In the sixth century A.D., the Christian Byzantines conquered Greece. 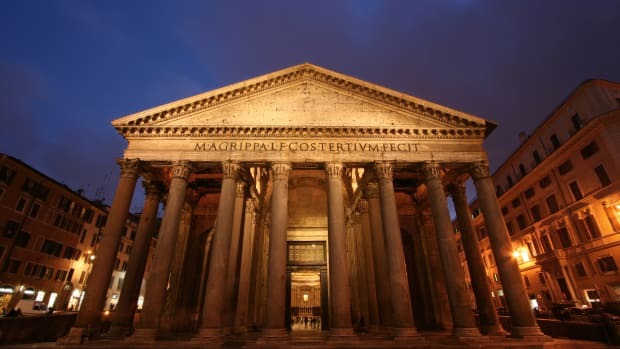 They outlawed pagan worship of the gods and converted the Parthenon to a Christian church. They blocked the East side entrance and, following the custom of Christianity, forced worshipers to enter the church on the West side. The massive statue of Athena was gone before the Byzantines arrived. In her place, they put a pulpit and marble bishop’s chair. The Parthenon remained a Christian church until 1458 A.D., when the Muslim Ottoman Empire seized Athens. 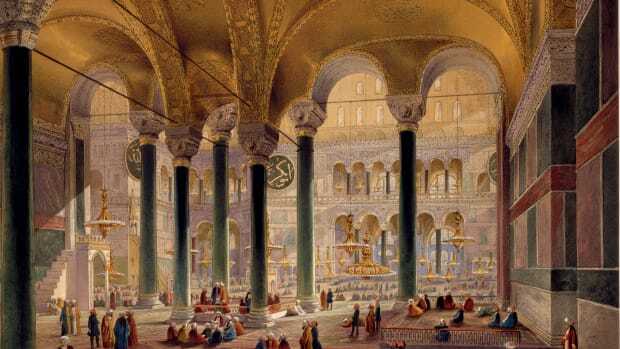 The Ottoman Turks converted the Parthenon into a mosque, yet kept many Christian paintings and artifacts intact. In 1687, facing attack from the Christian Holy League, the Ottomans converted the Parthenon into an ammunitions depot and shelter, but it was anything but safe. The structure was bombarded with cannonballs and its ammunition stores exploded causing hundreds of deaths and massive structural damage. After the Holy League’s assault, the Parthenon sat in ruins and was at the mercy of looters. In the early 19th century, Thomas Bruce, the 7th Earl of Elgin, removed the marble friezes and several other sculptures and shipped them to London, England where they remain on public display in the British Museum today. It’s unclear if Elgin had permission to remove the sculptures, and the Greek government has requested they be returned. Time, weathering and cleaning has caused the Elgin Marbles and other Parthenon sculptures to look white, but there’s evidence they and other parts of the structure were once painted vivid colors such as red, blue and green. After centuries of being ruled by the Turks, the Greeks fought for independence in the 1820s. The Acropolis became a combat zone and the Turkish Army removed hundreds of marble blocks from Parthenon ruins. They also used the lead-coated iron clamps which held the blocks together to make bullets. Finally, in the 1970s, the Greek government got serious about restoring the rapidly-deteriorating Acropolis and the Parthenon, which had become one of the country’s national treasures. 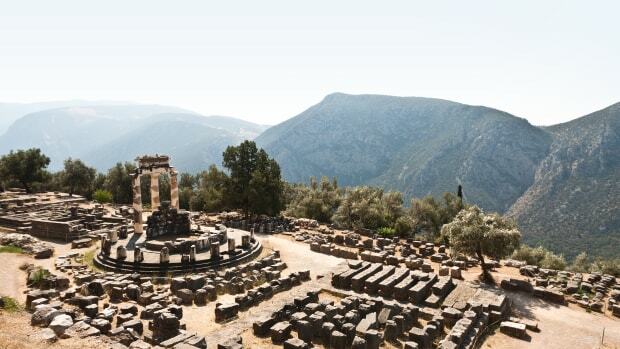 They appointed an archaeological committee called the Acropolis Restoration Project. 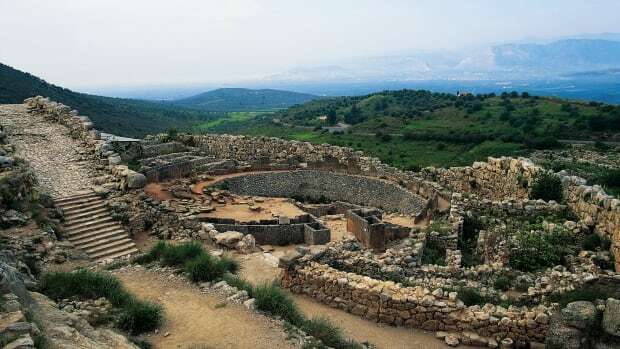 With Greek architect Manolis Korres at its helm, the committee painstakingly charted every relic in the ruins and used computer technology to identify their original location. 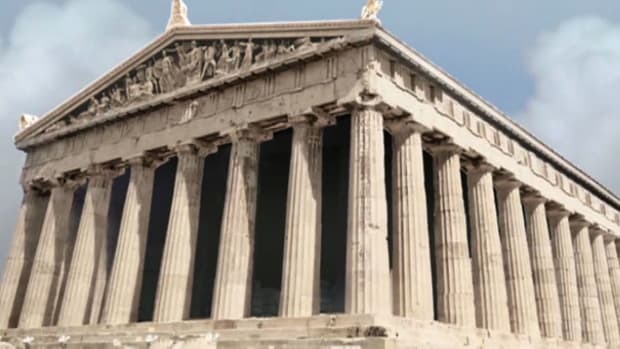 The restoration team plans to supplement original Parthenon artifacts with modern materials that are weather-resistant and corrosion-resistant and that help support the integrity of the structure. Where needed, new marble from the quarry where the original marble was obtained will be used. Still, the Parthenon will not be restored to its original glory. Instead, it will stay a partial ruin and will feature design elements and artifacts that reflect its rich, diverse history. Renovations are ongoing at the Parthenon and the entire Acropolis; however, tourists can still visit the historical site. Areas undergoing a makeover may be off limits. Some important artifacts and remaining Parthenon sculptures were moved to the nearby Acropolis Museum. To see many of the Parthenon’s original marble sculptors and other Acropolis artifacts, visitors are encouraged to see the museum. Secrets of the Parthenon. PBS NOVA. The Glorious Parthenon. PBS NOVA. The Parthenon: Religion, Art and Politics. The State University of New York.